The vibrant and exciting world of birds is shown in all its glory in this new book from renowned Finnish wildlife photographer Markus Varesvuo, who has trekked to remote and beautiful locations to capture birds in their natural habitat going about their daily lives. Moments rarely caught by humans have been preserved on film and reproduced in glorious full-colour images. "Birds: Magic Moments" showcases 150 amazing photographs of birds in the wild. Each bird is identified with its common name and its Latin name, and a short description accompanies each photograph. 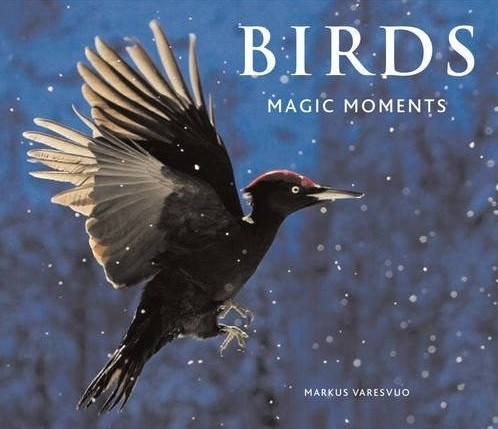 This book is a celebration of birds in motion and a photographic study of movement that is sure to captivate any bird lover or wildlife photography enthusiast.